In an earlier post we introduced Barrio Planta Project, our community partner on the Yoga + Surf Nicaragua. We had a chance to talk to the founder, Dyani Makous, for a in-depth look at the project and we're so excited to volunteer with them! Tell us about your journey to BPP. I came to Nicaragua in 2008 writing travel guides for a travel publication and found myself in San Juan del Sur living with a local family. They took me in with open arms and I wound up staying much longer than I had initially planned. As we got to know each other, they explained their economic struggle, facing marginalization in a town quickly shifting from fishing to a tourism-based economy. In an area where most adults didn’t have over a sixth grade education, it was becoming apparent that further education would be required for their children to secure better futures, especially in English as a Second Language and other forms of international communication. In Nicaragua, kids only go to school for half a day, either in the morning or the afternoon, and they asked me to teach them English the other half of the day. What started with a couple kids quickly grew to sixty in just a month, and next thing I knew I was establishing a nonprofit organization, raising funds and living in Nicaragua. You invite in volunteers into BPP often. What kind of impact does this have on the kids? What about the volunteers? Due to the influx of tourism in San Juan del Sur, we often receive inquiries from people who want to help, but will only be here for a day or two. Initially, I wasn’t sure how to include them and finally it hit me. Our goal is to help our students build skills in the hospitality industry and a huge component to this is interaction with foreigners, so we set up organized activities like art and yoga for volunteers and our students to do together and experience a true cultural exchange. This gives our students the opportunity to practice their English skills in a total immersion environment while being exposed to diversity from a young age, which helps them develop hospitality skills relevant to the tourism industry. Volunteers additionally learn Spanish, have the opportunity to give back to the place where they’re visiting in a really meaningful way, and get to know the true beauty of Nicaraguan culture in the most fun and carefree way: through the children. Talk to us about your team that runs BPP. What excites them about work every day? Our team at BPP is a fun, quirky bunch that joke around with each other a lot. We are made up of a Nicaraguan staff and English teachers from all over the world who are all extremely passionate about the cause and dedicated at a genuine and profound level. Our educational philosophy focuses on four primary components: creativity, confidence, critical thinking and communication. As a result, the environment at BPP is fun, interactive and inspiring. Our team creates a fun, safe place for our children to play and in return gets to be immersed in an environment filled with hugs, joy and smiles! 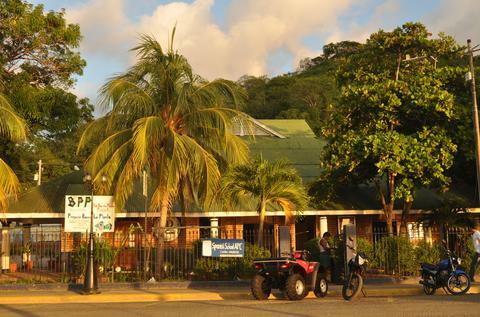 What is San Juan del Sur like? What do you like most about living there? San Juan del Sur is a really interesting place with a tight-knit community of people. Foreigners, drifters, locals and tourists have created a unique dynamic in the small, surf-friendly bay town. My favorite thing about living here is being in an environment with so many entrepreneurs, free spirits and people who think outside of the box. We didn’t like what traditional society had to offer us, so we redefined in a cool, casual and fun way and created a lifestyle based on freedom, creativity and passion. For someone who has never done a cultural exchange before, what would you say to them? How about to someone who volunteers a lot? I think I would tell both parties to keep an open mind, to relax and to have fun. The most important part about our cultural exchange program is acknowledging you can learn just as much from the children as they can learn from you. How do you feel that Traverse Journeys is aligned with BPP’s values? Traverse Journeys has a strong focus on traveling with a purpose, believing tourism should be positive and transformative for the traveler as well as the place that they visit, while BPP envisions a world where local communities are able to leverage the growth of the tourism industry into economic and educational opportunities for their children, youth and families. I couldn’t imagine values better aligned! What is the biggest lesson that BPP has taught you? The biggest lesson I’ve learned from starting BPP from scratch with little experience and few resources is that relentless perseverance pays off. If you believe in something, you make the choice not to give up and ultimately that choice is based on choosing love over fear. What are the 3 things you’re most looking forward to in the exchange day with Traverse Journeys retreat attendees? I’m really looking forward to meeting the group and getting to know more about people participating in this trip. I look forward to our students’ enthusiasm when they meet the Traverse Journeys attendees and have the opportunity to participate in the activities. I’m excited to hear the feedback from the participants about the experience. Follow Barrio Planta Project on Facebook, Instagram & Twitter. Show them some social love!